Vilnius Airport welcomed another new airline – the Spanish low-cost airline Vueling. It will operate one weekly flight to Barcelona on Wednesdays until 28 September. Over 100 passengers took the first flight from Vilnius. “We see a steady growth in the passenger traffic to Barcelona; therefore, as many as three airlines will meet the need for flights on this route. Vueling also offers the possibilities of connecting flights and convenient connections to Tenerife, Palma de Mallorca, Alicante, Ibiza, Bilbao, Seville and other Southern European destinations which cannot yet be reached from Vilnius directly. Therefore, we invite passengers to choose their holiday destinations,” said Indrė Baltrušaitienė, Head of Communications and Marketing at Lithuanian Airports. The plane heading to Vilnius takes off from Barcelona Airport late in the evening, at 23:30. It flies back from Vilnius to Spain at 5 a.m. As the airline operates connecting flights through this airport, the early departure time provides an opportunity of convenient travelling to other cities in Spain and beyond it. In 2014, the Spanish airline Vueling carried 17.2 million passengers. Vueling offers direct air service to over 100 airports. It operates connecting flights in partnership with British Airways, Iberia, Qatar Airways and Corsair. 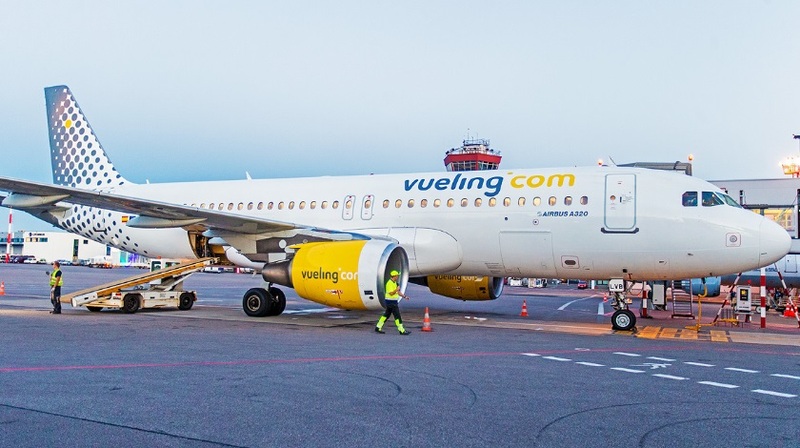 Vueling took advantage of financial support from the route development programme founded by the Ministry of Transport and Communications and Lithuanian Airports for the increase in the number of flights on existing routes. EUR 50,000 was allocated to the airline. Currently, two more low-cost airlines – Ryanair and Wizz Air – offer flights from Vilnius to Barcelona. Each of them operates three weekly flights.